We are a church made up of people from different backgrounds and from various walks of life, so you will fit right in at DCNaz. 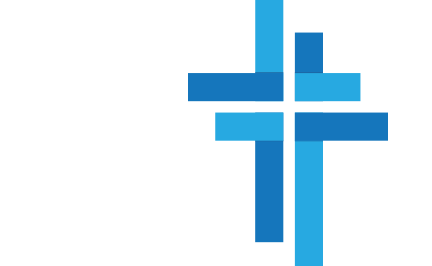 Take some time to learn about the church and all the ministry opportunities we offer. Feel free to contact us if you have questions or need more information. Consider joining us for a Sunday service. May the Lord bless you richly. On the night of his betrayal and arrest, Jesus casts a vision for his people to his disciples in the Book of John. Through Lent, we will explore that vision with the hope of fulfilling that vision at DCNaz. Welcome! Thank you for taking the time to check out our website. As you peruse the various pages, you will be able to learn about the history and core values of Dodge City Church of the Nazarene, see all the ministries and services we provide, gain the ability to watch a service or make a donation online, or simply contact us with your questions or prayer requests. I believe you will also see that DCNaz is a church made of people just like you with the genuine desire to love God with their whole hearts, minds, and strengths, and the genuine desire to love their neighbors as themselves. I want to personally invite you a Sunday morning services. You will experience strong music, friendly atmosphere, and a clear teaching from the Bible. Thank you again for checking out our website! Here at DCNaz we encourage love of God and neighbor. We are continually working hard to find ways to encourage spiritual growth and relational living through small groups. We were created to experience life together and joining a small group is a great way to grow your love for God and neighbor! At DCNY (Dodge City Nazarene Youth) we run off of three guiding principles, which are Love God, Love Others, and Make Disciples. These principles guide most of our youth functions. We do loud music, crazy nights, and weird events, but we never compromise on the Gospel message: Jesus is life. At DCNaz Kids our mission is to help children come to know Christ and to develop a personal relationship with Him. We love to see children learn about God and connect with Him. Through Bible stories, music, crafts, and games, we focus on raising our children to become people who love God and live for Him. DCNaz Español, dirigido por el pastor David Charles, es un ministerio integral de la Iglesia del Nazareno de Dodge City. Con la misión de compartir el Evangelio con tantas personas en nuestra comunidad como sea posible, la incorporación de este ministerio hispano es verdaderamente una bendición.